We live in an increasingly politically and economically interdependent, global society. This means that what we purchase in one part of the world will have an effect in another part of the world. For ‘only’ $199.99, a consumer can buy this NEW Revolution Black by SODASTREAM. It’s a sleek, compact, and fancy looking appliance that appears to carbonate water. Add a bit of SodaStream cocktail syrup and voilà – you have a fancy, fizzy drink. No plastic bottle to deal with. All in the comfort of your own home. Here’s the reality check: SodaStream is a company that manufactures its products in Israeli-government occupied Palestinian territory but labels these products as though they’re made in Israel. Nothing on that sleek Revolution Black indicates that it was made in illegally occupied territory. 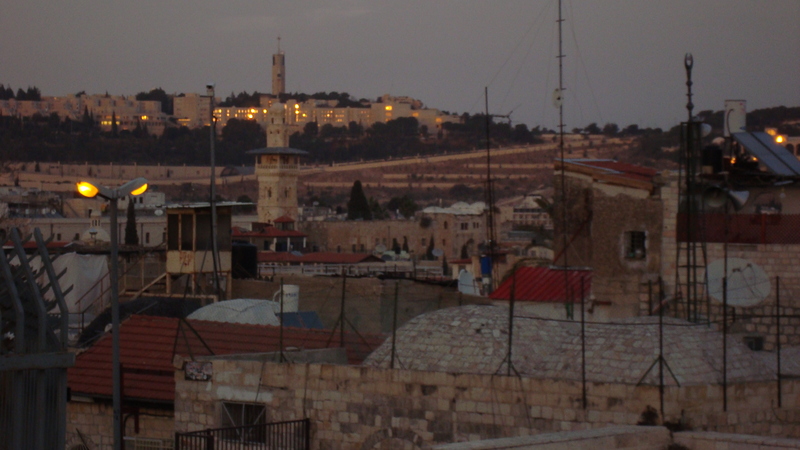 Nothing indicates that that Revolution Black was made just east of Israeli-occupied East Jerusalem, in the occupied West Bank – next door to where my friends, long-displaced Bedouin families, have been relegated to live (next to the reek of the Jerusalem garbage dump) . Because the Israeli government wants the land. For political and economic gain (click here). Much like the British Empire wanted ‘the land’ of Turtle Island a few centuries ago and granted the Hudson’s Bay Company rights to occupy that land. Building up trade for products that citizens might buy. How would anyone know that by ‘taking advantage’ of “Black Friday” (weekend) sales of snazzy looking items that are mislabeled, that that would help to shore up the Hudson’s Bay in Canada and SodaStream in the occupied West Bank and the Israeli government? Yet, this is the reality. Now what do we do? Why not re-claim the name of that Revolution Black? On this “Black Friday” weekend, let’s join a new consumer revolution. Consider the following hopeful shift. Imagine that consumer conscience will grow and consumers will refuse to buy Revolution Black because it is not properly labeled. They/We will realize that we are able to influence Hudson’s Bay to pressure the Canadian government to require the Israeli government to label all products accurately – whether from Israel or from the Israeli-occupied Palestinian territories. Who would have thought that by refusing to buy mislabeled products, people in one part of the world could join a revolution in another part of the world – to grow a just peace in Palestine and Israel? That now is a settlement, thriving and new. The United Church of Canada’s campaign, Unsettling Goods – Click here. 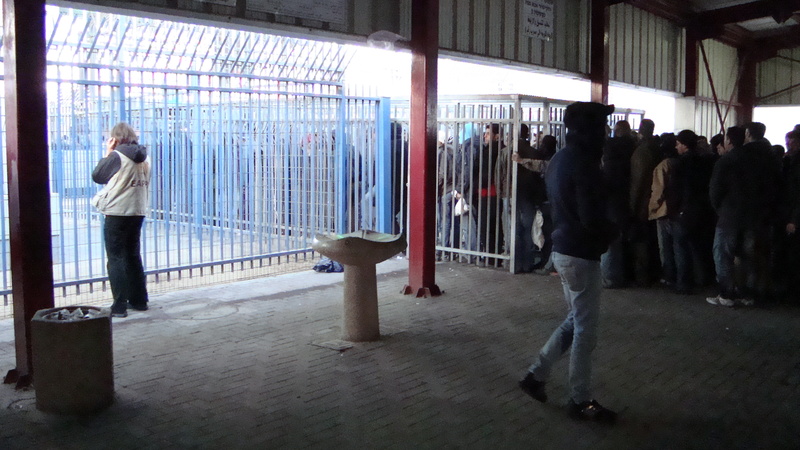 A fact sheet about SodaStream, from the Unsettling Goods resources – Click here. Contact Hudson’s Bay to ask them to stop selling SodaStream products and to ask Hudson’s Bay to ask SodaStream to label clearly the products it makes in Israeli settlements. Invite Hudson’s Bay to join The United Church of Canada in asking the Canadian government to require all settlement-made products that are sold in this country to be labelled clearly. Click here. The United Network for a Just Peace in Palestine and Israel (UNJPPI) launch of the Unsettling Goods campaign is on December 3, 2013. Please participate as you can! See how here. 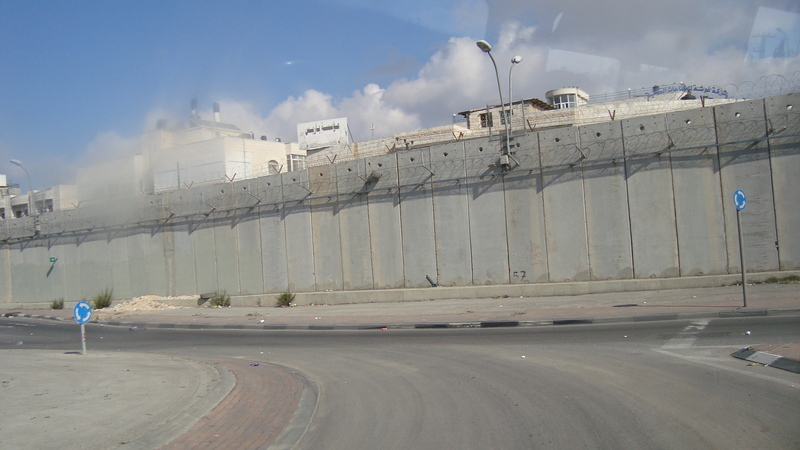 Canadian Boycott Coalition for Justice in Palestine/Israel – Re: settlement products. Click here. “I do not like SodaStream [with apologies to Dr. Seuss].” Click here. 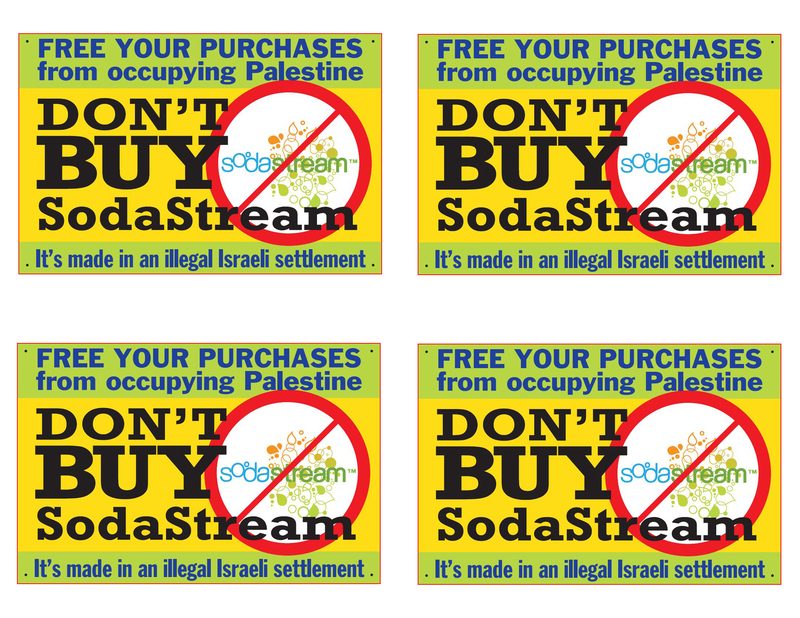 Boycott SodaStream – Click here. Global Exchange – Click here.